University of Wyoming researchers found 70 acres of land near Sheridan infested with Ventenata, an invasive grass species that’s been hurting hay production in nearby states. A single plant of Ventenata was first found near the Sheridan area in 1997. Since then, the grass has spread unchecked. 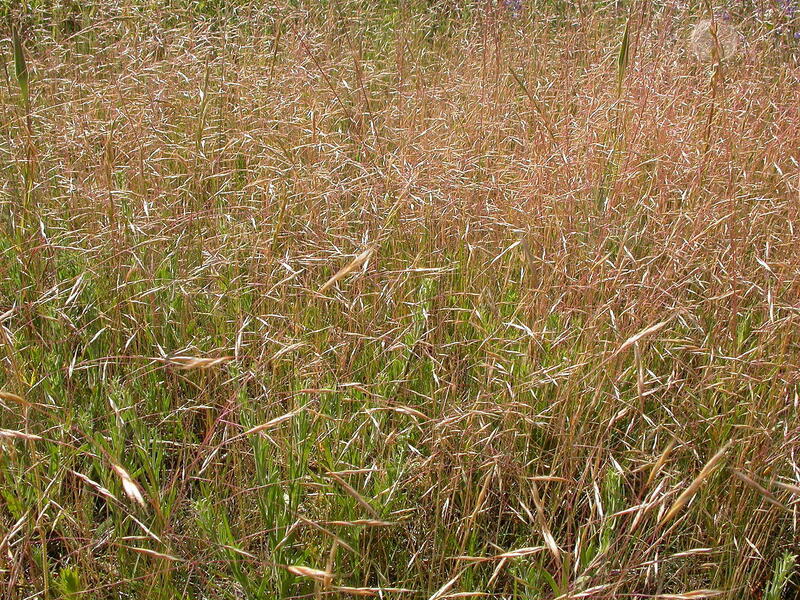 Ventenata is known to be a low-quality biomass grass–it doesn’t add a lot of nutritional content for hay production or livestock foraging. 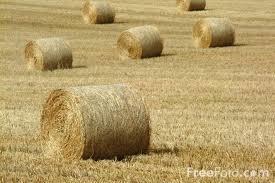 Ventenata can reduce hay production yields by up to 50 percent according to the United States Forest Service. Director of the Sheridan Research and Extension Center Brian Mealor said the main problem with Ventenata is that it can be mistaken for other grasses in Wyoming. Hay was Wyoming’s leading crop in 2014, bringing in $309 million to the state. Mealor isn’t particularly concerned since the grass has only been documented to have spread to 70 acres in 20 years since it was first discovered. But if researchers end up finding it beyond that point, Ventenata could be much more of a problem. “If we start riding around and it’s already starting to show up in areas that people haven’t been aware of it, then the red flag is going to be raised higher,” Mealor said. A reclamation expert with Cloud Peak Energy is hoping techniques developed at one of the company’s Powder River Basin coal mines can be applied across the West. Kyle Wendtland helped develop a strategy to combat cheatgrass, an invasive species that’s bad for grazing. It’s become a major problem in the West, with more than 50 million acres affected. 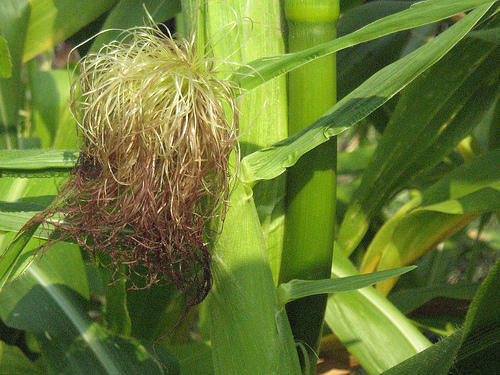 Currently, the most common method for removing it is to apply herbicides. Cloud Peak’s approach removes the weed mechanically and then reseeds the area with native grasses. Wendtland says it’s cutting-edge. This summer, a Nature Conservancy Program called LEAF offered urban high schoolers the chance to live and work in the shadow of Heart Mountain north of Cody. The hope is to get the kids to love Wyoming so much they’ll come back for its colleges and its jobs in conservation. Wyoming Public Radio's Melodie Edwards has more. The drought this season has taken its toll on farmers growing hay. The U-S Department of Agriculture is predicting that Wyoming’s hay crop this year will be the worst since the Dust Bowl days of the 1930s. Platte County Extension Agent Dallas Mount joins us now to talk about that. He tells Wyoming Public Radio’s Willow Belden the situation is ALREADY very bad. A cool, wet spring has Wyoming’s growing season off to a sluggish start. Ken Hamilton with the Wyoming Farm Bureau says some crops—like corn and sugar beets—were planted as much as three weeks later than usual. He says hay production has also been hurt by all the precipitation.